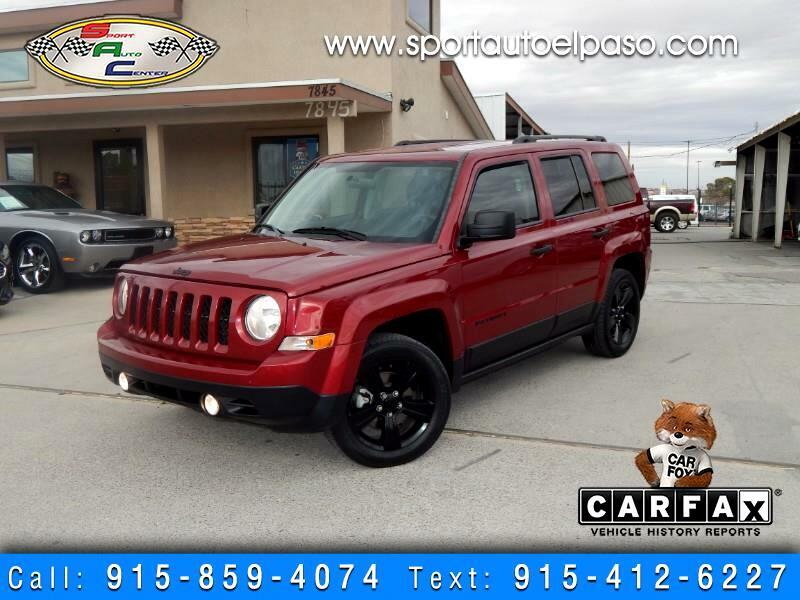 WOW 2015 JEEP PATRIOT 2WD!!! 4CYL!!! ALITITUDE PACKAGE BLACKED OUT BADGES AND WHEELS!!! AM FM CD AUX!!!! BLACK CLOTH SEATS!!! REAR FOLDING SEATS FOR MORE CARGO ROOM!!! GREAT CAR FOR THE STUDENT OR A LONG COMMUTE GAS SAVER!!!! THIS UNIT QUALIFIES AS A FIRST TIME BUYERS PROGRAM W$2500 DOWN SEE DEALER FOR MORE DETAILS!!!! WE ACCEPT TRADES!!!! EZ FINANCING!!!! WE WORK WITH MANY BANKS AND CREDIT UNIONS!!!! MILITARY FINANCING!!!! COME CHECK OUR INVENTORY SCHEDULE YOUR TEST DRIVES TODAY!!! !